The discovery of the Antikythera mechanism, an ancient analog computer believed to have been designed to predict astronomical positions and eclipses for astrological and calendrical purposes, has just taken a fascinating turn. A diving team has scanned the seabed at the site of the wreck and has discovered that there are several tons of “metal” buried beneath and around the shipwreck. 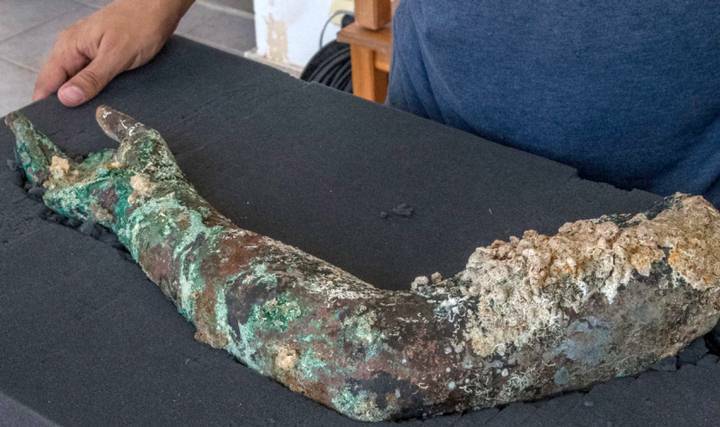 The discovery took place when the team of underwater explorers found a bronze arm belonging to a Greek statue under one of the large rounded rocks near the shipwreck. A close examination of the field with metal detectors revealed that there is a huge mass of metal buried beneath the rocks. The nature of this mass has not yet been determined, but it is speculated that they are statues. The bronze arm recovered at the site of the shipwreck. It is not the first time that fragments of bronze statues have appeared, and archaeologists believe that there are at least seven large statues buried beneath the stones. Although the main hypothesis is that the buried fragments of metal are most likely the remains of statues, scientists do not rule out finding new pieces of the incredible Antikythera mechanism, or even unearthing similar new relics. 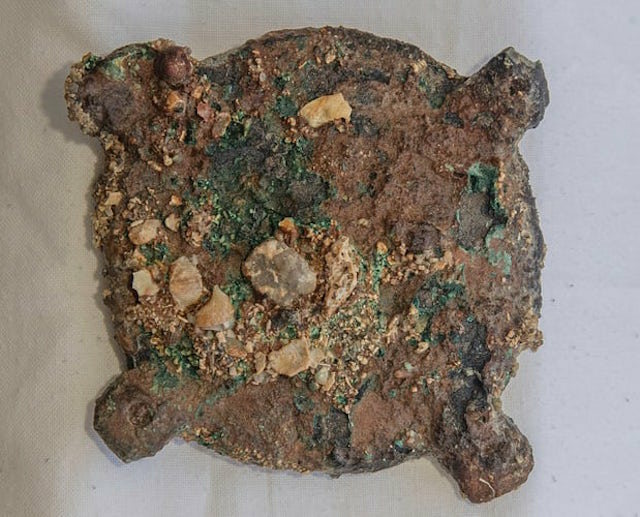 While exploring the Antikythera in 2017, underwater explorers have found a bronze disc with the image of a bull, but the lack of gears suggests that it was decorative, not part of the mechanism. The reason, why these objects have not appeared sooner, is because they were buried under an avalanche of large rocks that probably fell off the surrounding underwater terrain on which the ship rested during an earthquake. The pieces of the Antikythera mechanism. The explorers are using small explosive charges like those used in submarine rescues to break the rocks free and remove them. Another option is to drill the rocks and fill them with a compound that dilates and splits the stone. The Antikythera shipwreck site owes its name to the Greek island off whose coast it is found. Scholars consider it of great importance due to the statues that archaeologists have recovered. Two of them (the bust of the philosopher Bion of Borysthenes and the epic of Antikythera) date from the fourth century BC. This raises an additional question: What were both statues doing in the ship that sank off the coast of Antikythera 300 years later? According to experts, the answer is a simple one: recycling. The ancient Greeks used to fuse ancient statues that were no longer “fashionable” in order to create new ones. This practice is precisely why researchers have found so many statues onboard sunken ships of the time. It is not clear, however, whether this is the case with Antikythera. Another hypothesis about the ship is that it was a merchant ship or perhaps belonged to smugglers and pirates. Whatever it may have been, and even if the ancient Greeks of the time considered the statues and objects as trash, today they are invaluable. 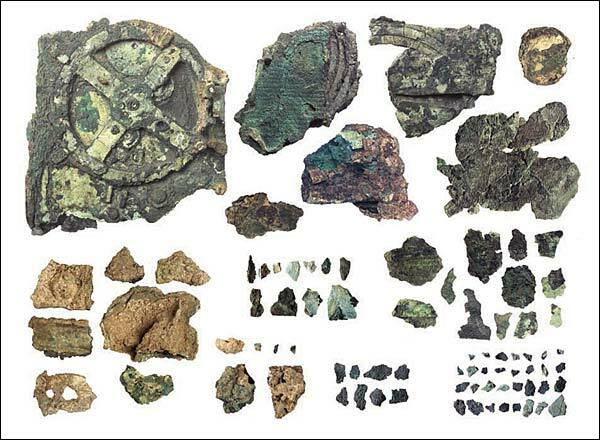 Not to mention that we may find more pieces of the extraordinary technology that made the Antikythera mechanism possible and more clues as to why they created it and what they used it for. THE RHODOPE SKULL—MYSTIFYING CRANIUM OF AN ACTUAL ALIEN?